Satia Spencer is a former Marine from DeWitt, Arkansas. Her recent work for Praeclara includes performances as the vampire Lavinia in Dracula Unearthed (2015), one of the conspiring witches in Dido and Aeneas (2015), the role of Monique in Carmina Burana (2014), and an ensemble role in Peter Grimes (2014). Previous opera and musical theater credits include performances in the title role in Carmen, the Mother in Amahl and the Night Visitors, and the Baker’s Wife in Into the Woods, all with the UALR Opera Theatre. 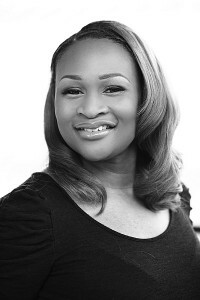 She has also performed the role of Alice’s Daughter in the Arkansas Shakespeare Theatre’s production of Big River and sung as a pit vocalist for the Arkansas Repertory Theater’s production of The Wiz. In July 2014, she played Caroline in The Weekend Theater’s production of Caroline, or Change. Ms. Spencer graduated from the University of Arkansas at Little Rock in 2014 with a Bachelor of Arts in Music Education. She currently teaches music at Franklin Elementary School.